Since Clean Lakes Alliance was founded in 2010, we have advanced new ideas and approaches to phosphorus reduction. Our goal is to raise community awareness of the issues facing the watershed, advocate for the welfare of our lakes, and help procure the necessary funding to clean and protect these waterways. Clean Lakes Alliance strives to connect the community to our lakes through distribution of news, science, and other important topics facing our watershed. Here are some of the ways Clean Lakes Alliance has recently connected the community with important lake and watershed topics. Every month, Clean Lakes Alliance hosts its Yahara Lakes 101 Science Café presentations for the community. 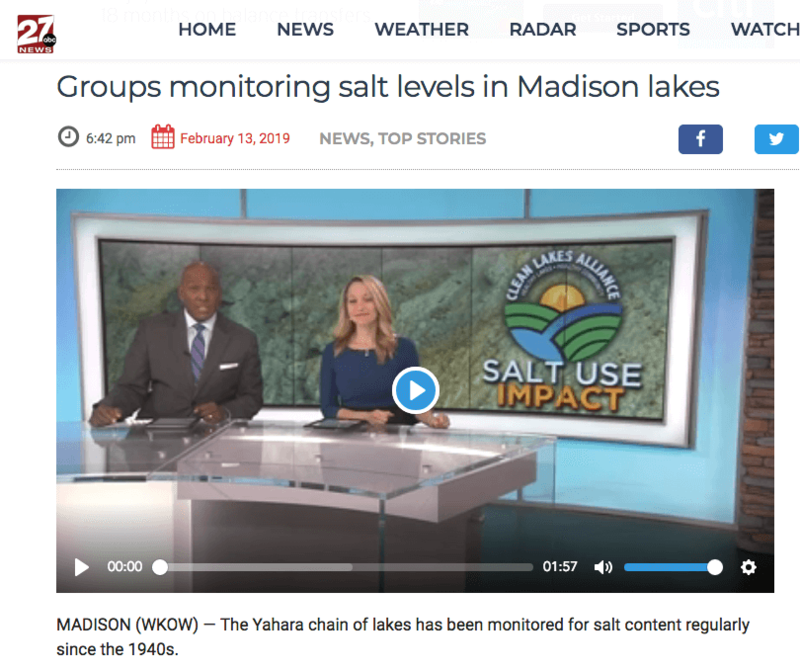 This month, Dr. Hilary Dugan of the UW Center for Limnology discusses salt use and its impact on the Yahara Watershed. Click here to view the entire story published by WKOW on February 13, 2019. 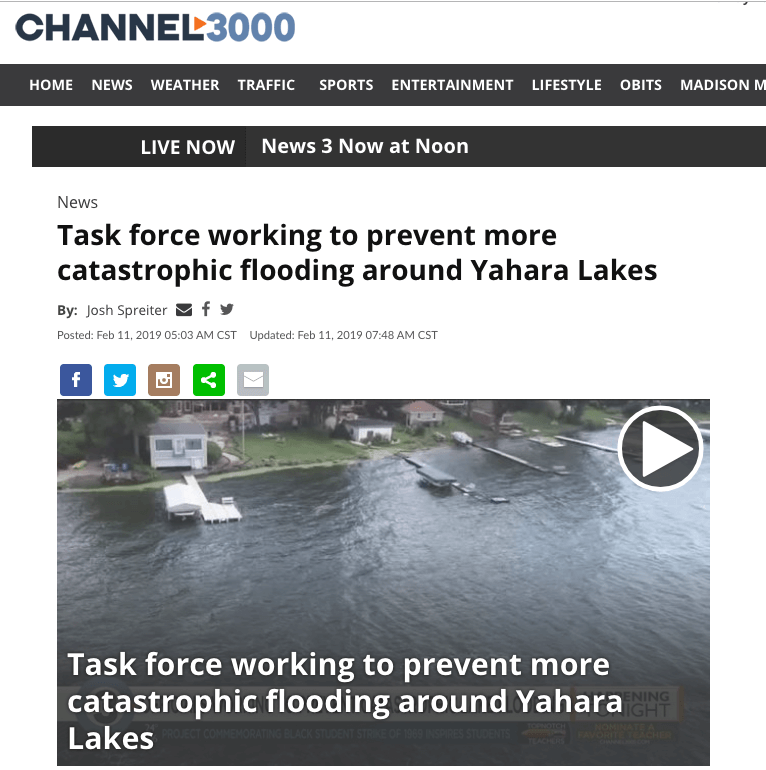 Channel3000 and WISC take a look at the Dane County task force working to prevent additional flooding around the Yahara Lakes. Clean Lakes Alliance discusses increased infiltration as a way to reduce runoff to our lakes. Click here to view the entire story published by Channel3000 on February 11, 2019. 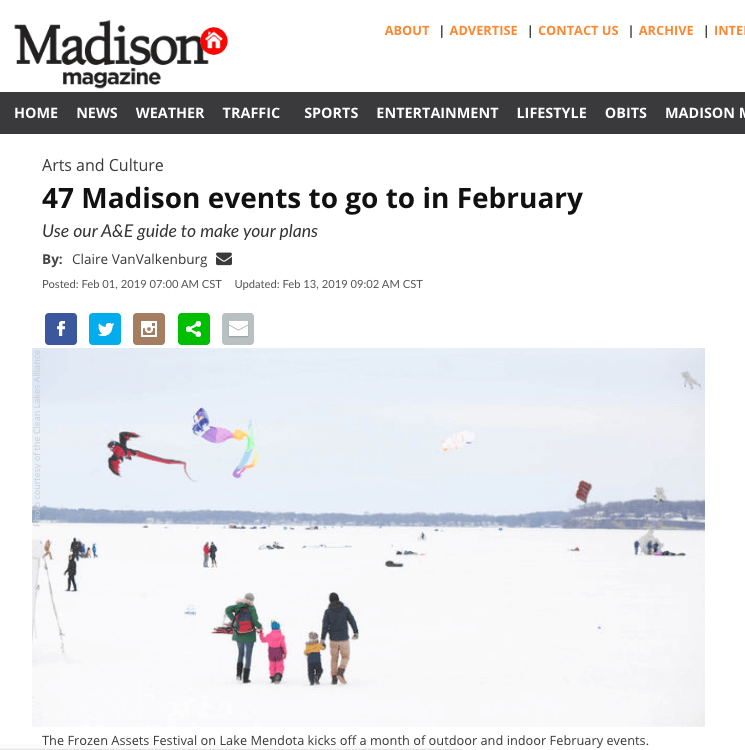 Madison Magazine showcases 47 Madison events to go to in February, including Clean Lakes Alliance’s Frozen Assets Festival. The Festival is a FREE family-friendly event celebrating our lakes. Click here to view the entire article published by Madison Magazine on February 1, 2019. 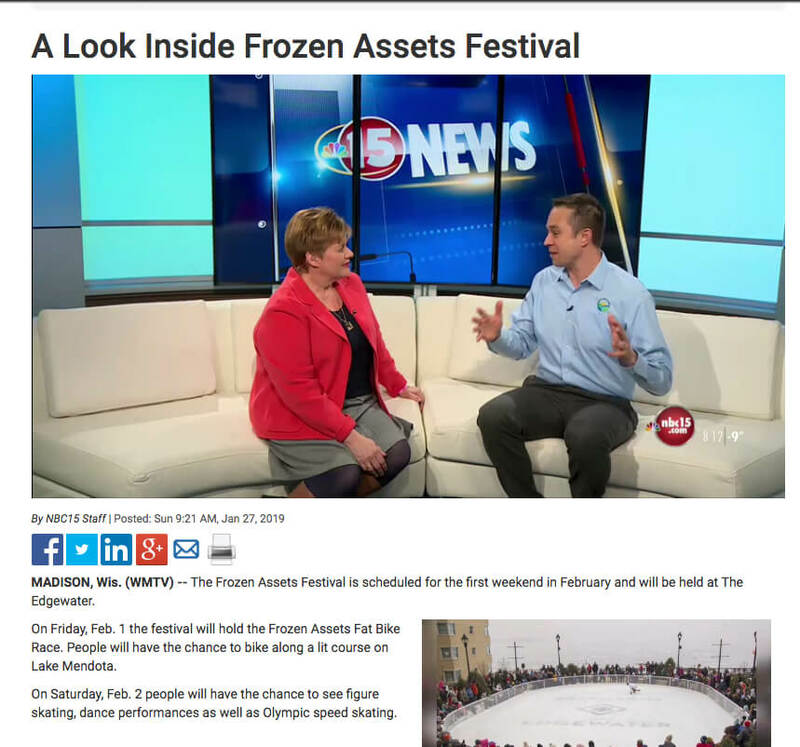 Clean Lakes Alliance previews the Frozen Assets Festival, which takes place at The Edgewater and Lake Mendota February 1-3, 2019. The Festival is a FREE family-friendly event in which people can celebrate our community’s number one asset – OUR LAKES! Click here to view the entire story published by WMTV NBC15 on January 27, 2019. 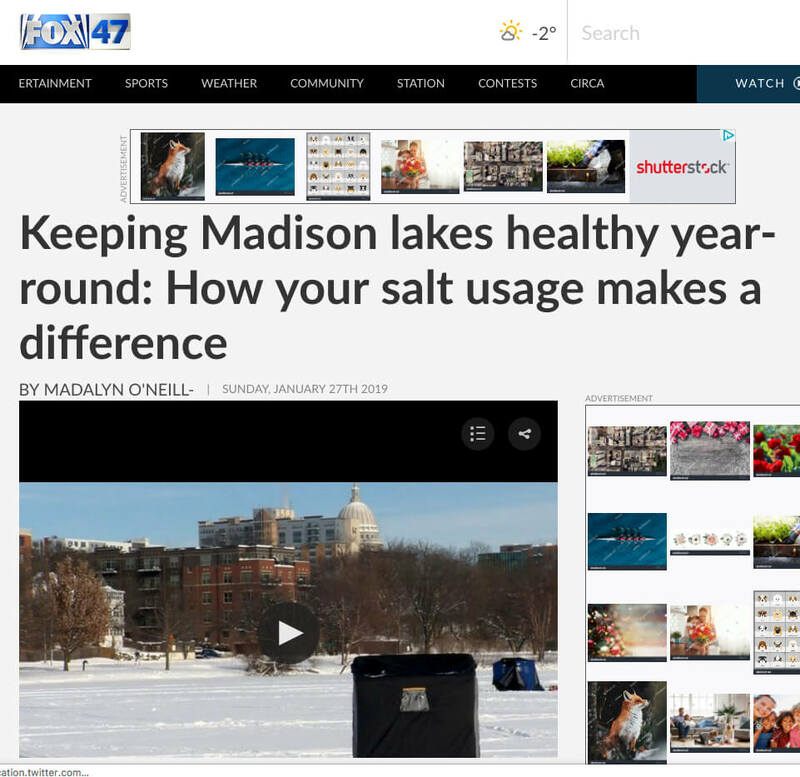 Clean Lakes Alliance talks about keeping our lakes healthy year-round by monitoring wintertime salt usage. Too much salt can disrupt fish and plant life. Click here to view the entire story published by WMSN FOX47 on January 27, 2019. 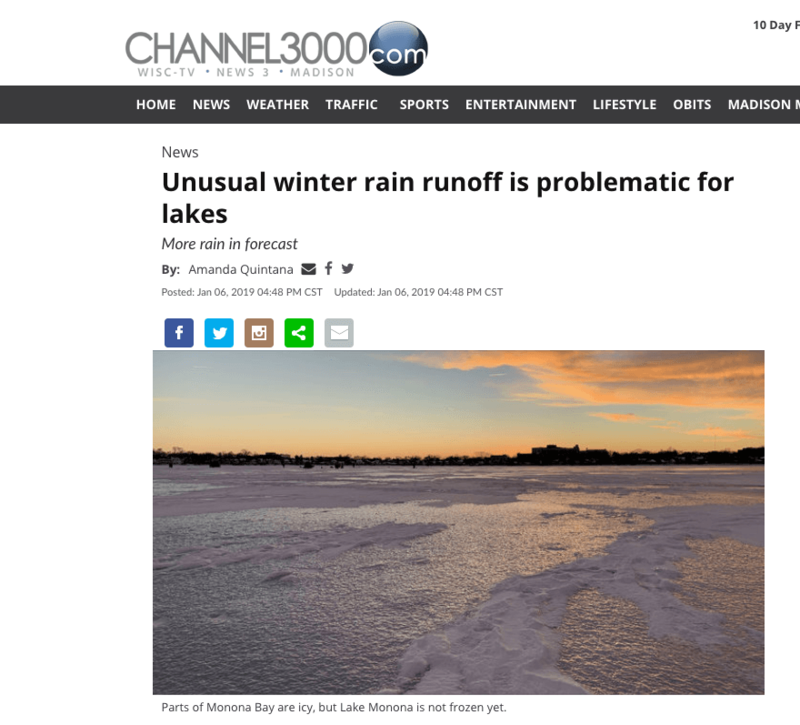 Clean Lakes Alliance speaks about the winter’s warm temperatures, reduced snow, increased rainfall, and the resulting problems being felt by our lakes. Click here to view the entire story published by Channel3000 on January 6, 2019. Despite the recent warm weather in Madison, Lake Mendota is officially frozen over. The Wisconsin State Climatology Office declared Lake Mendota iced over on December 15, 2018. Click here to view the entire story published by Channel3000 on December 17, 2018. 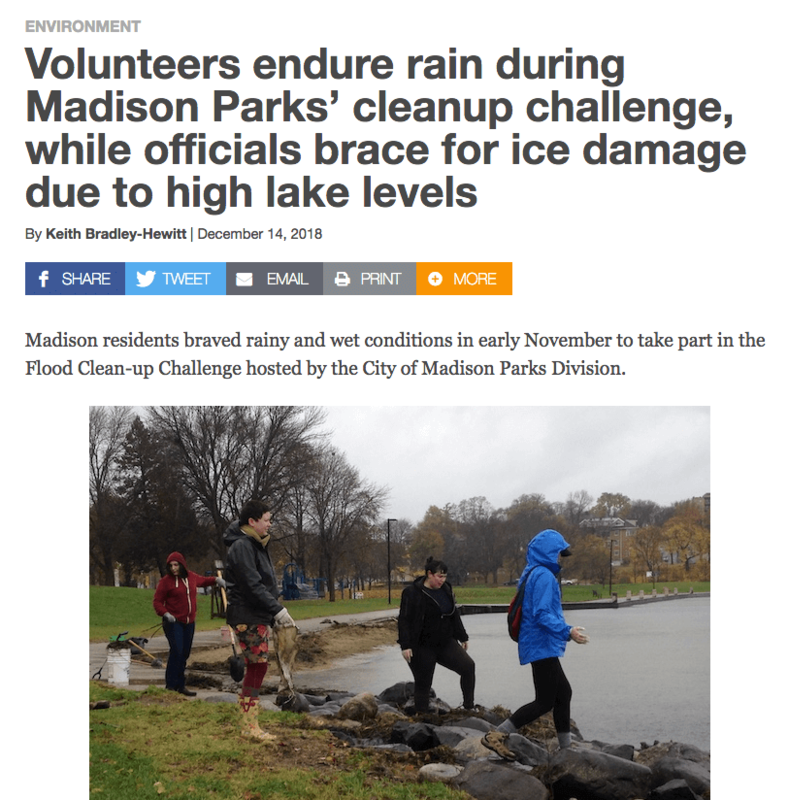 Madison residents braved rainy and wet conditions to take part in the Flood Clean-up Challenge hosted by the City of Madison Parks Division. Clean Lakes Alliance discusses the high water levels and how our lakes are being impacted. Click here to view the entire story published by Madison Commons on December 14, 2018. Winter is almost here, and temperatures are getting colder. 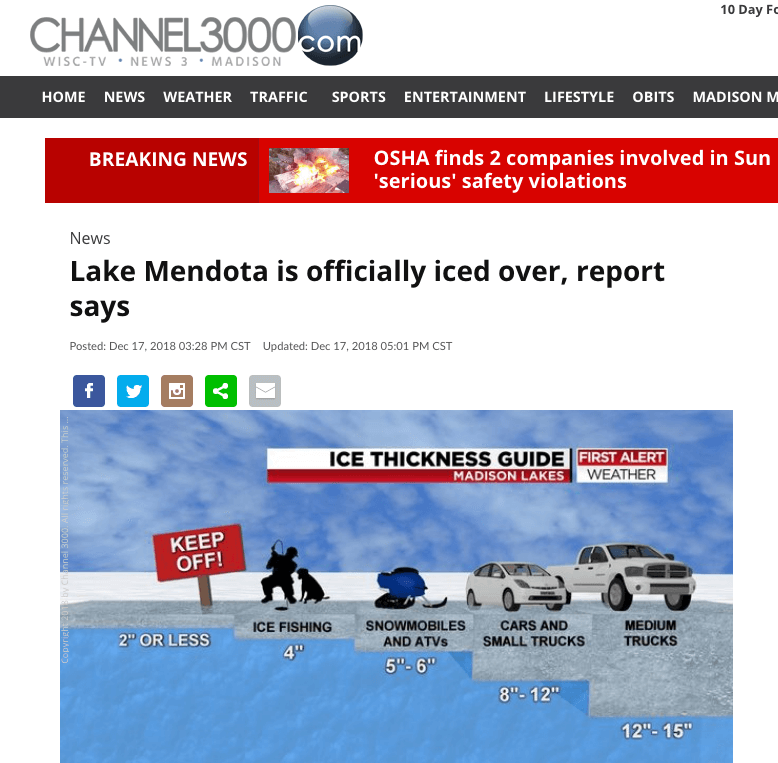 Clean Lakes Alliance has kicked off its 7th annual Mendota Freeze Contest asking the community to guess when Lake Mendota will freeze. The contest winner will take home a $1,000 gift card from Lands’ End . Click here to view the entire story published by WMTV NBC15 on December 13, 2018.